Oh yea Terrific Tuesday! Just what I love about CF Jenks, no one came in with fear when they saw this WOD. You came in ready to attack and get work done. Great job. 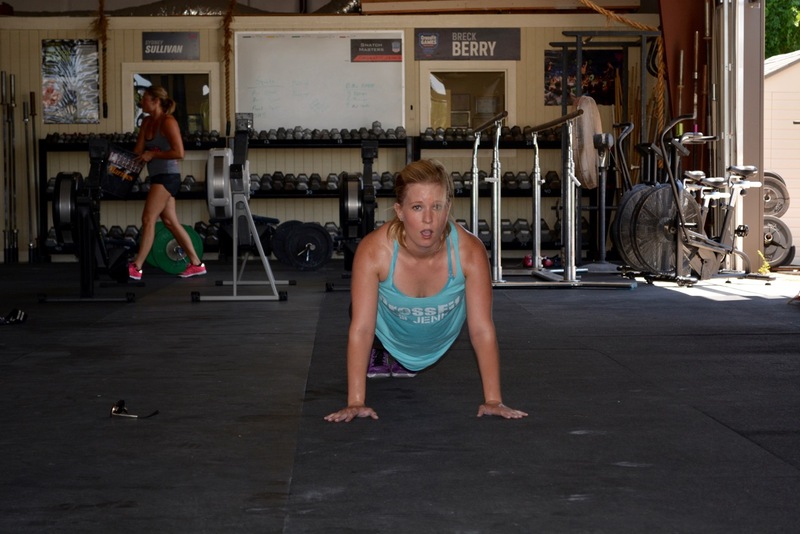 Way to believe in yourself and grind through this WOD. – Cluster = 135, 165, 185, 205, 215 Hang Clean good failed Power Clean, tried again and same thing. This is no excuse, just do not trust the knee to drop under yet, they are all pretty much muscle cleans. I will keep working it I promise. Have a Terrific Tuesday CF Jenks! WOD rx’d , got 6 power cleans into set of 10. Tough One! Oops.. Forgot I did 26 military sit-ups in 1 min. Fun morning! Great job 5am. Okie, your energy is contagious! Thanks for cheering us on! 1 HPC to 1 PC – worked up to 195 but failed on that rep. Got 185 previous to that. Goal was to get through one round and boy did I barely make it, lol!! Great job nooners!! – today was a fun/horrific WOD. Few observations from todays noon class. C. Jess is the real winner for doing this with the Assault Bike. Great Wod! Thanks for teaching Okie! And yes, Jess IS the real winner of the WOD. Impressive sister! I have 2 Cold Play tickets left… let me know if you have an interest $187.50. Club Seats! Thanks max for calling me out and making me feel guilty for not wanting to do bike! Glad I got some practice on it! Great job nooners! Great pic Joan! Lookin’ good lady as always! Got 10 of 15 HPC, then ripped & called it good. Almost finished one round – only 5 cal row left. Good mornings and overhead lunges w/ 35# bar. Into my 15 HPC and ripped. Spent to much time taping. Finished at 5 burpee box jumps. No strength. Spent 10 minutes contemplating life and wishing I could do power cleans.